A brand-new purpose-built community facility has been completed in the heart of Lagmore, West Belfast after 17 years of campaigning. 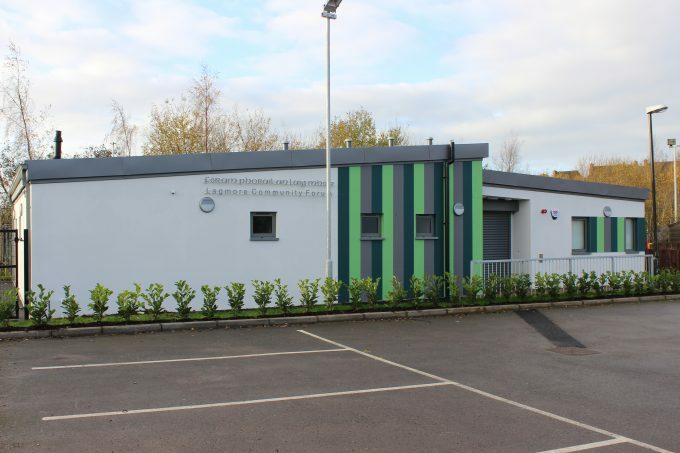 Western Building Systems completed the project for Lagmore Community Forum who have worked since 2000 to secure the much needed multi-functional community space. Located on the grounds of Christ the Redeemer Church, the building has been designed to act as an inter-generational social hub for years to come. Externally, the building was finished with a mix of Render and Tegral Cladding to the front façade; creating a striking, yet durable finish. The versatile space consists of an array of multipurpose communal areas,with state of the art internal adaptations including folding partitions which help to optimise the space within the building effectively. The facility will host an array of activities, workshops and vital services which, until now, local residents had limited access to. Current initiatives available include: Sure Start, a children’s drama club, a parents’ support group and a special needs early years support group. The project forms part of the Urban Villages Initiative, a key action within the Northern Ireland’s Executive’s ‘Together: Building a United Community’ strategy. Western Building Systems was responsible for the design and construction of the new single storey steel-framed modular building as well as the associated drainage and site works and services, including the diversion of existing services.